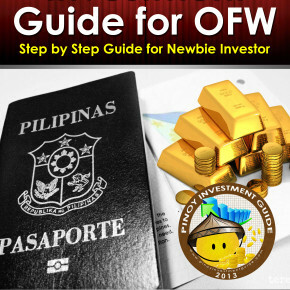 As I teach Financial literacy in different institutions here in Saudi Arabia, I came to know that majority of OFW does not know the difference of wants and needs. They probably know it theoretically, but they don’t know the importance of knowing the difference that it will make in their future. Delaying gratification is not in the vocabulary of most OFW’s. Here are some ideas which will definitely let you know the difference of Wants and Needs. Buying because of “Sale items” thinking that you can save from your purchase even you will not need those items in the next few days. You know what you are buying, and you know where you will use it after purchase. You will purchase because you know that it could give your family peace in the event of unforeseen events. I am not saying not buying those wants, but what I am saying is that we need to be prepared on buying those want. In other words you need to plan and save for paying those wants. Don’t buy want from credit. There is always a general rule that if you don’t have cash to buy for your wants, it is not for you. Buying on want with credit will lead you to a big financial mess. Hope this short post will remind you the importance of knowing needs and wants. As always you can use extra money for investment. Yup. I cringe whenever anyone says “I NEED that latest phone because mine is old” and then they joke about surviving until the next payday using the P500 left in their wallet. Buy only what you need. You can spend on quality, but limit unnecessary luxuries. 100% Agreed, Buy only what you need and buy what you can fully use, there are some people who buy gadget due to peer pressure. They bought highly sophisticated phones but they don’t use its full capability.